The Annenberg Space for Photography, a innovative exhibition space in Los Angeles, has put a fresh twist on the way photography is presented. 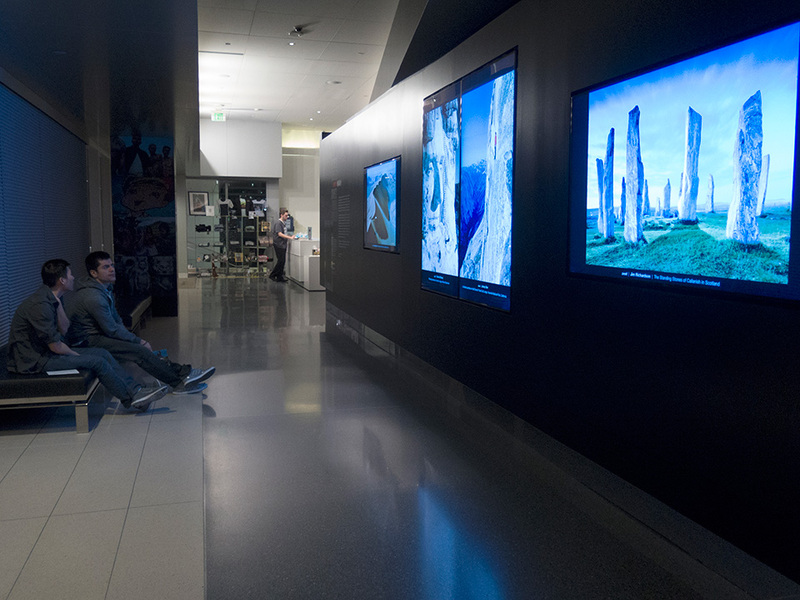 Combining prints and up-to-the-minute digital technology, the Digital Gallery offers a dynamic and interactive viewing experience that is likely to create plenty of new photography fans—and reinvigorate longtime photography enthusiasts. The brainchild of philanthropist Wallis Annenberg, the Space has had a spectacular first two years. 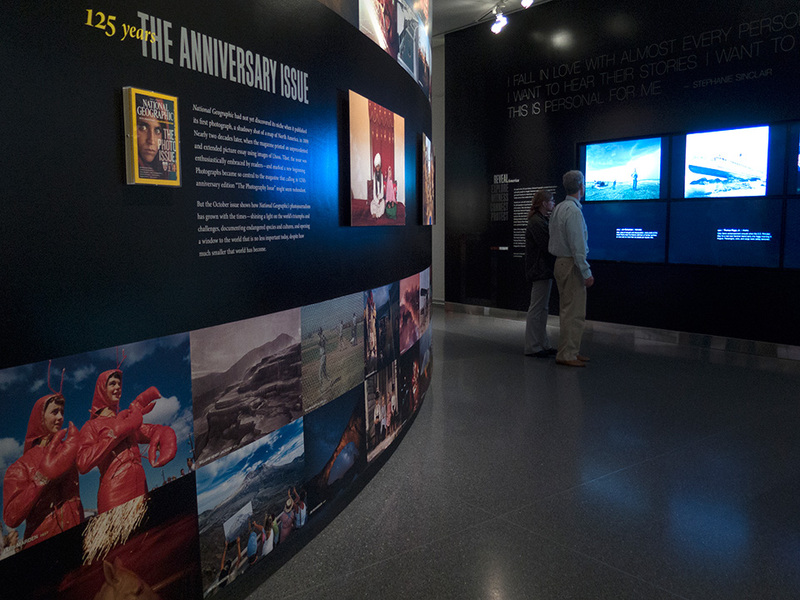 Since opening in March of 2009, it has welcomed more than 115,000 visitors, exhibited over 6,000 photographs, and offered 81 free lectures and workshops, mentions Patricia Lanza, Manager of Talent at the Annenberg Space for Photography. 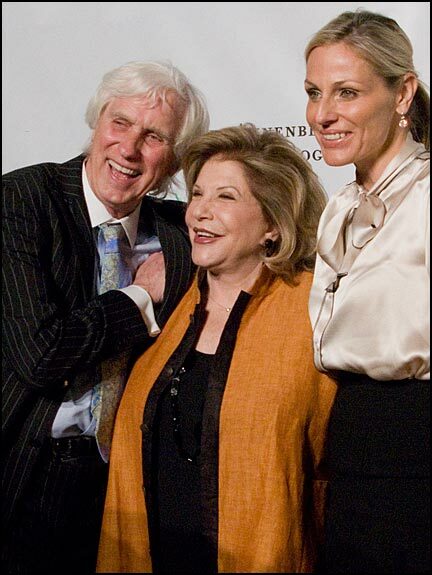 Wallis Annenberg, Vice President and Trustee of The Annenberg Foundation, has helped the Foundation give more than $150 million to more than 500 organizations around the world in the arts and culture, education and youth development, civic and community life, health and human services, and animal services and the environment. 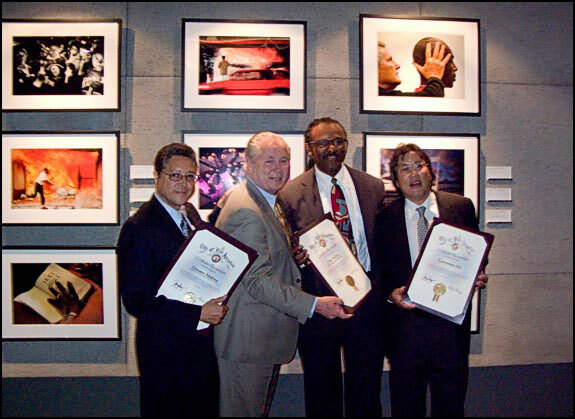 The Foundation has supported the visual arts through grants to the Museum of Modern Art, Tate Gallery, Whitney Museum of Modern Art, Children's Museum of Los Angeles, and many others. Of course, the Foundation's devotion to photography has culminated in its creation of The Annenberg Space for Photography, a state-of-the-art gallery featuring print and digital work by contemporary photographers. The Photography Space will be under the stewardship of the Foundation's Los Angeles-based Trustees—Wallis Annenberg, Lauren Bon, Charles Annenberg Weingarten, and Gregory Annenberg Weingarten. Click here for more information and plan your visit! The first prominent venue in Los Angeles dedicated solely to photography, The Space has the ability to showcase an unprecedented number of images—over 80 classic prints and more than 1,000 digital images—all stunningly displayed. 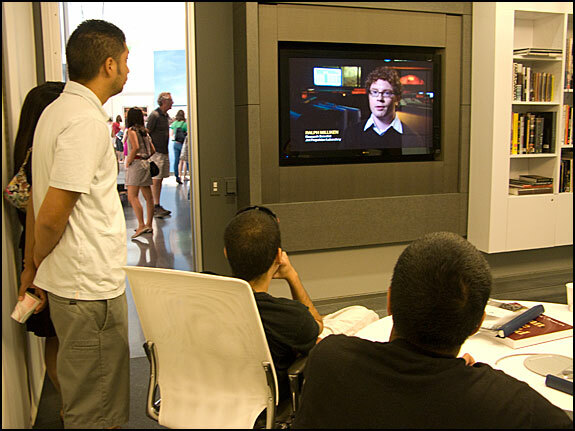 This unique gallery uses state-of-the-art rear-projection imaging technology that was customized for The Space, setting it apart from any other. 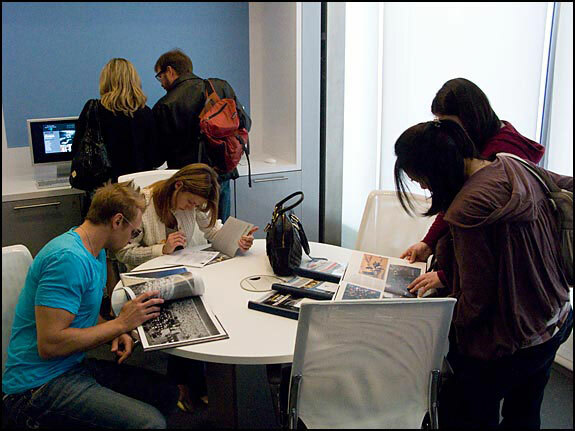 The primary goal of The Space is to prompt visitors to view the world in a new light and gain insight into the human condition through the eyes of inspired photographers.The Annenberg Space for Photography's Century City location is both accessible and historically significant to Los Angeles. Standing where the Shubert Theatre once stood, the Space is a sprawling 10,000-square-foot space whose unique architecture is designed to gently entice visitors from one exhibition space to the next. Annenberg's passion for the art form led her to examine the challenges most traditional museums experience when exhibiting photographic work, and overcome them. Many museums have remarkable photography collections, but oftentimes their archives are more comprehensive than the available exhibition space allows. 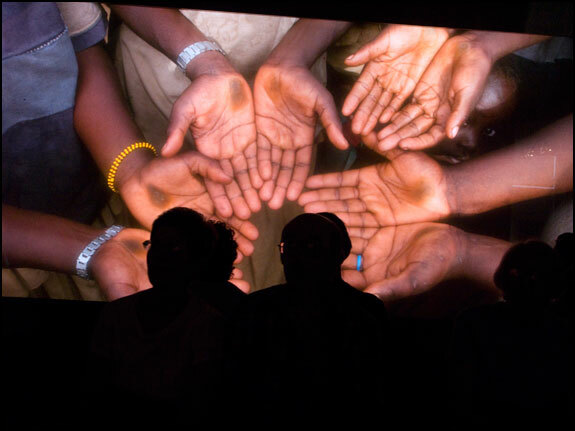 This motivated Annenberg and The Annenberg Foundation Trustees to create a new paradigm for experiencing photography. 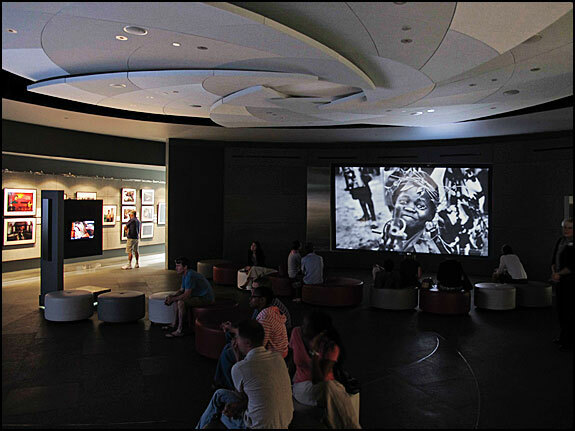 The Annenberg Foundation recruited internationally renowned AECOM Designs, formerly DMJM Rottet, to design The Annenberg Space for Photography, a thoughtfully contemporary building with interior gallery spaces that mimic the inner workings of a film camera. 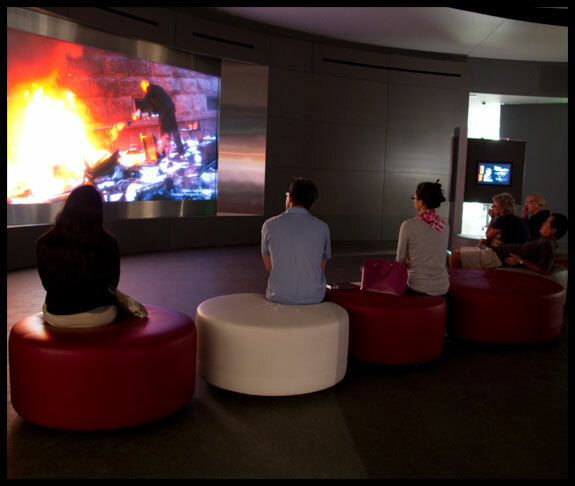 The main gallery houses two large rear projection screens, each 7 by 14 feet, that were custom made by Stewart Filmscreen using a special optical coating to blend the light from multiple projectors, which creates a one-of-a-kind viewing experience. 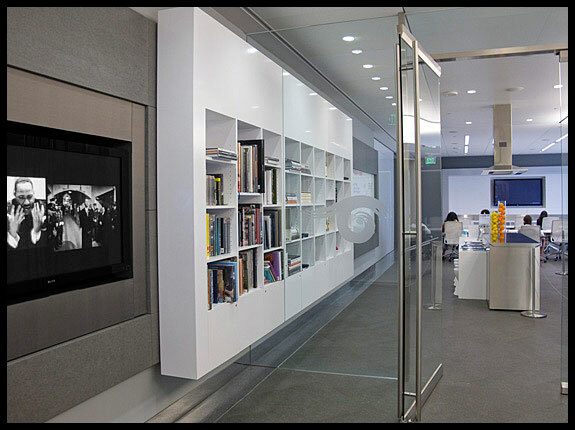 This award-winning technology allows the gallery to display limitless digital images, one after another that are ultra high-definition. Images can be displayed in a variety of orientations: side-by-side or one above the other, either landscape or portrait, showing them to their best effect. The gallery ceiling evokes the spiral shape of a film canister and, at its apex, you will recognize another unique design element resembling a camera's aperture. Visitors wind their way around the curved walls of the gallery, stopping to engage in alternative educational opportunities along the way. 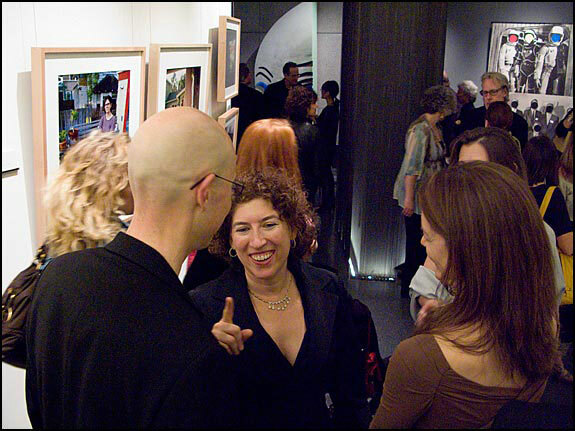 Exhibitions at The Space revolve frequently. 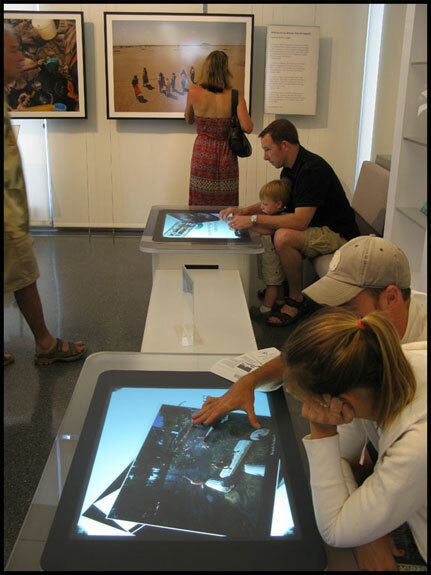 While some visitors view print photography on the gallery's curved walls by artists including Greg Gorman, Douglas Kirkland, Lauren Greenfield, Carolyn Cole, Catheine Opie, others stop to marvel at the interactive Microsoft Surface tables. 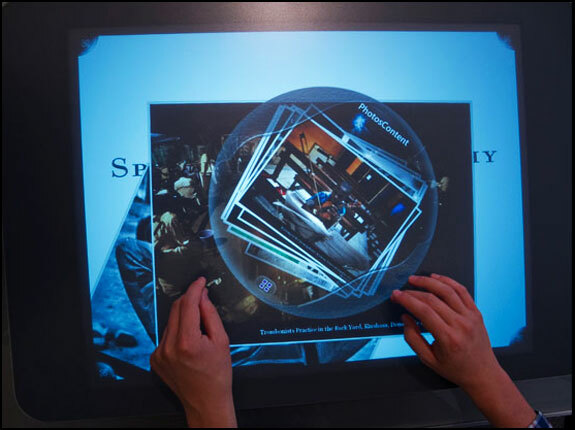 This state-of-the-art touch screen technology allows visitors to control how they view an image. For example, you can select an image, rotate it, zoom in, zoom out, or organize several images into a slideshow—all with the touch of your fingers to the screen. This wonderful hands-on experience is perfect for children and adults. 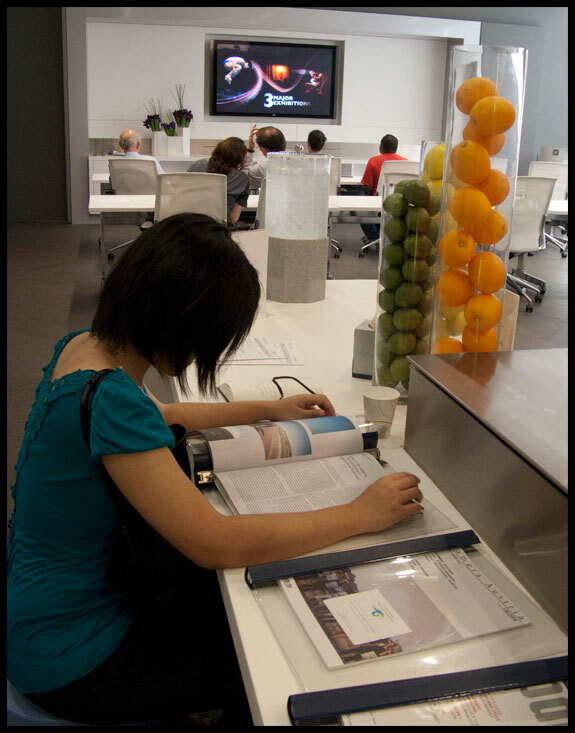 The Reading Room is filled with books to educate and inspire visitors about photography. 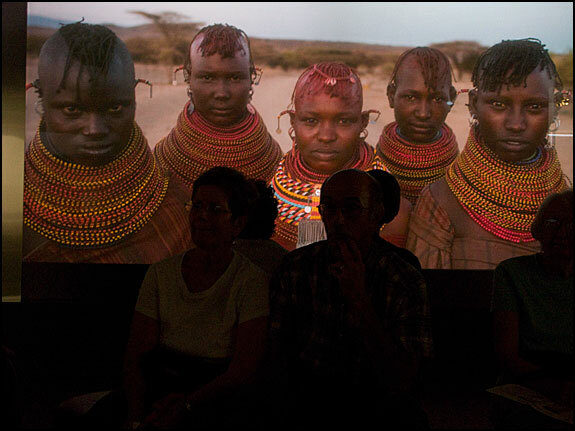 Guests are encouraged to explore this art form through the many different titles available, and in many cases, read about the very photographers featured in the current exhibitions. 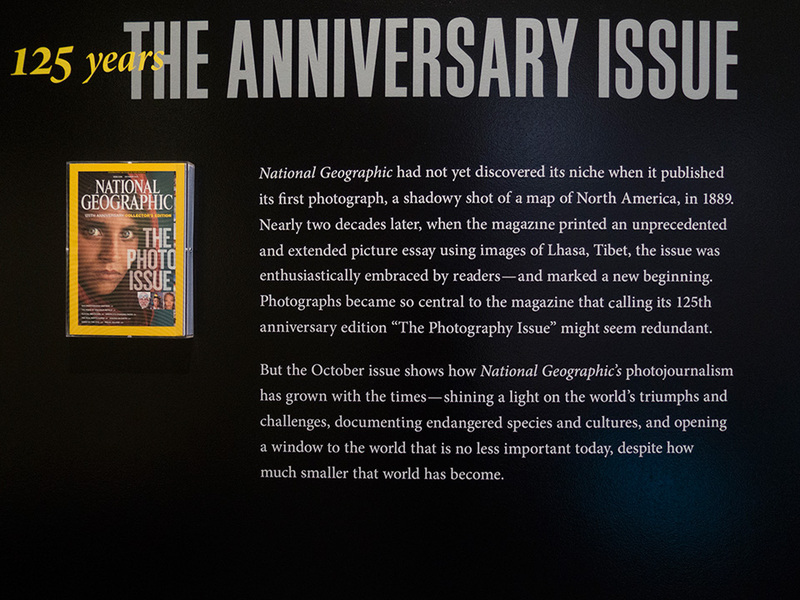 Visitors can also peruse The Space's extensive collection of international photo magazines, videos, and databases. 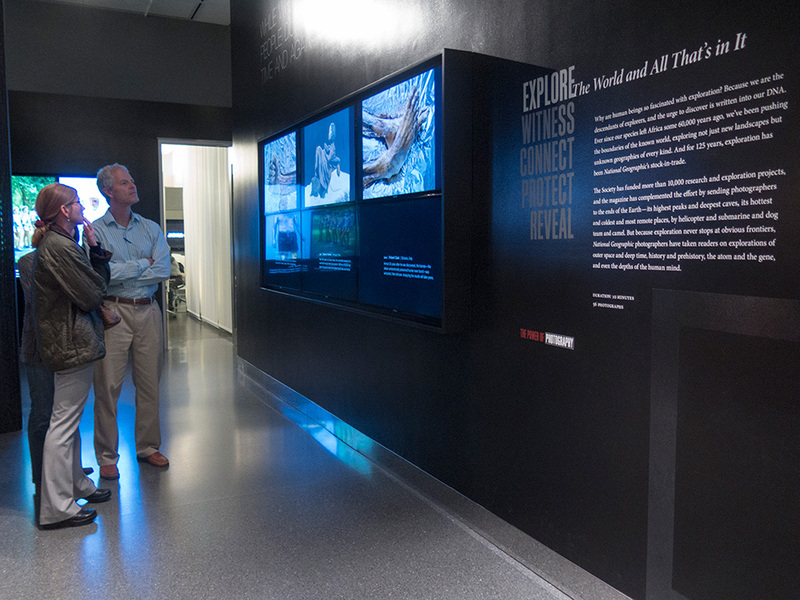 Touches like the inclusion of Wally's Cafe encourages guests to use the Annenberg Space for Photography as a place for inspiration and education. IRIS Nights brings to life the featured exhibition with free hour-long lectures by the photographers featured. 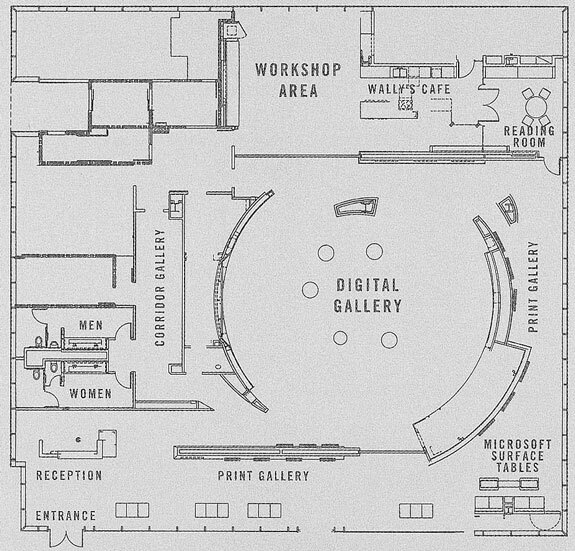 These events are held at The Space under the iris ceiling in the main digital gallery. This thoughtful addition to the museum interactive experience encourages visitors to expand their knowledge of, and passion for photography. At this inaugural exhibition guests celebrated the best works from eight internationally-recognized photographers. The collection was thoughtfully curated and addressed themes including architecture, portraiture, art, and photojournalism, combined with the fast-paced energy inherent to the Los Angeles area. The numbers in the exhibition's title hint at its theme of cultural diversity and modern life. This impressive showcase also featured some of the best work of Los Angeles Times photographers, spanning nearly 100 years. Such photographers included Julius Shulman, Tim Street-Porter, Douglas Kirkland, Greg Gorman, Lauren Greenfield, Catherine Opie, Lawrence Ho, Kirk McKoy, and Genaro Molina. This exhibition helped propel the message behind Annenberg's mission to create a modern space to view images that provoke thinking and wonder while helping to build a stronger community. Wallis Annenberg grew up surrounded by her father's spectacular collection of 19th Century art. "It was all in beautiful pastel colors," she remembers, "I used to say, 'But Dad, that's not the way the world looks.' That's probably the reason that the photographic arts have always been so close to my heart and why I was so eager to help create this space." 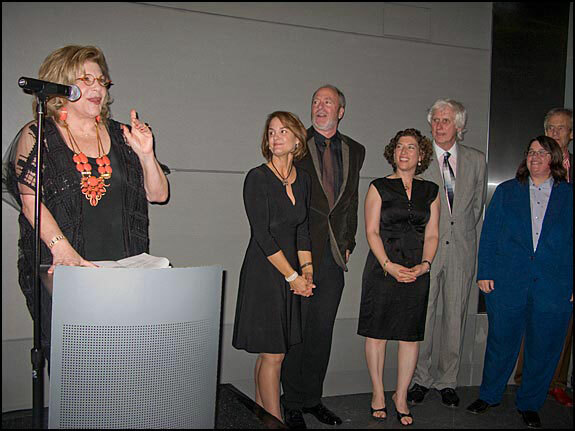 Annenberg worked with her fellow Trustees at The Annenberg Foundation to conceive the gallery, which will curate its own exhibitions, with guest curators, and host traveling exhibitions. The Photography Space will also show often unseen photographic collections held by museums, galleries, and art organizations. What's more, admission is free, giving everyone an opportunity to see the work of the world's most innovative and evocative photographers, covering the full range of the human condition—from celebrity to war and beyond.